Memory Lane - 10 CD set 200 Tracks ! 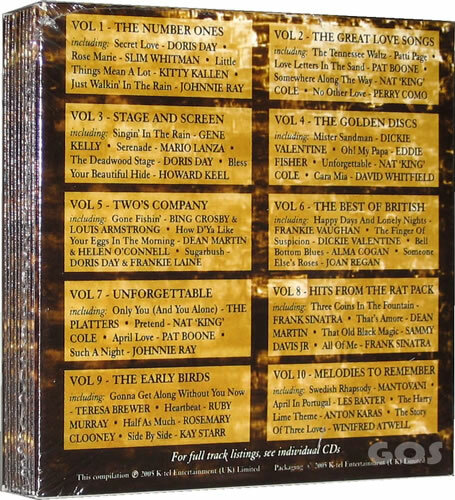 This is an astonishing collection of 10 CD of Original Artists and Original Recordings (except 13 tracks where marked). Take a look at the staggering track listing and then the price making this one of the best value for money purchases on the market. All tracks are Original Recordings performed by the Original Artists as detailed in the track listings below except for 13 tracks shown marked in which case they have been re-recorded by the original artist or one or more members of the original group.